Suite 445, Livonia, Michigan, 48152.
nDimensions Technologies (nDimensions) nDm-Apps continues its parent company’s commitment and ability to excel in growing its multi-dimensional solutions. 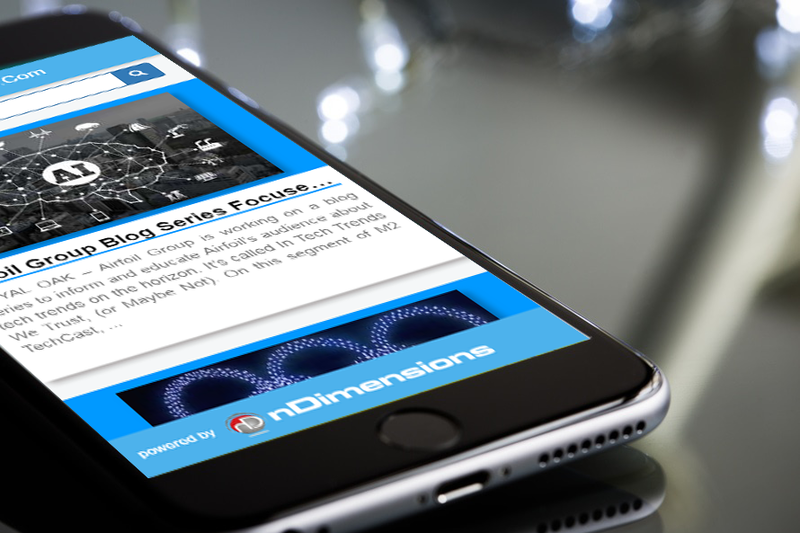 nDimensions nDm-Apps successful development team welcomes the opportunity to demonstrate their competence in achieving multi-platform App compatibility. nDm-Apps mobile apps development team have been delivering high quality and distinct apps for its customers to grow their business. nDm-Apps development team prides itself in its progressive thinking and ability to discover new mobile development techniques. This results in successfully building apps that grow their customer and employee engagement. This growth has earned the confidence of their clients. nDm-Apps development team strategies capitalize on the latest development trends to meet the demands of a competitive market. With designing tools and seamless integration of coding modules, nDm-Apps mobile application development team continue to satisfy clients with their development of Mobile Apps that are functional and aesthetic. Their customers realize growth by transforming and enhancing customer experience in conducting business digitally. As smartphone and tablet adoption reaches near ubiquity, businesses are realizing that a mobile presence is becoming a necessity if its business is to grow. nDm-Apps welcomes the opportunity to start a conversation regarding its expertise in building and maintaining a successful Mobile App that will grow your brand digitally.